If you have a question, feel free to send us a note. You may also browse through our FAQ’s to find your answer. Just like the adult students, children also grow through the different classes and belt ranks by incremental learning checkpoints which we call “Progress Check” or “Stripe Testing”. At the end of the different training periods, students are challenged to show their growth over the past weeks and months leading up to this evaluation. 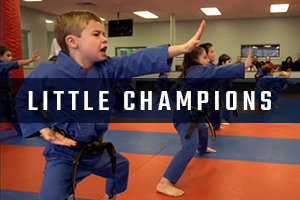 As the students show a high level of effort and commitment to their training, they earn stripes on their belts to represent the next level of accomplishment. Once students earn enough stripes, they graduate to the next belt. Adults are unique in that they still undergo a separate formal testing after they have earned their complete set of stripes. For our kids programs (ages 5-12), there are no other hidden costs or fees throughout their journey. We do not believe in nickel and diming families for things like belts, extra help or classes, or even their first uniform; all of which we take care for you. As students spend more time with us, they are invited to higher level training programs where tuition is similar, but some pieces of equipment may be needed. Unlike many other studios, we do not encourage parents to buy expensive or unnecessary tools, just the essentials to protect the students. Our goal is to run the best possible martial arts training programs, at fair tuition prices and low cost entry. We believe families that kick together, stick together. Each person in your immediate family who enrolls with us after the first student, receives and additional 25% off of tuition. We know that a life development program such as this, although a financial commitment, can be affordable for families both big and small. Student tuition depends on age, number of students, and program level. Please contact us directly for more information or specific class questions. Martial Arts is commonly confused with the fighting and action movie dramatizations of the film world. Karate is very safe and the most common injuries we see in students always happen outside the studio, not within. Students have all the best tools and equipment available to them to train hard, but in a safe and supportive environment. Students at the younger ages come in no physical contact with one another at all. 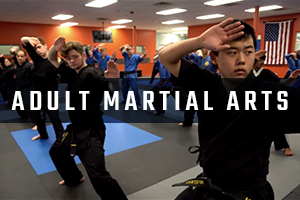 As students grow through the programs, much like the adult training, they have the opportunity to learn best practices and safe sparring and defensive techniques which simulate actual usage of their movements. These areas of study are under the supervision of only qualified instructing staff and are monitored closely to ensure safety. If you have specific questions regarding preexisting medical conditions or are wondering if a particular learning style would inhibit your training with us, please contact us by clicking here and a qualified staff member will look forward to speaking with you. Isn’t karate exclusively boy’s/guy’s sport? Our deepest wish for anyone with this question is to simply come and view a class of their choice. Across the board, classes are almost evenly split between male and female students. In many classes, the student demographic changes regularly, allowing a healthy balance of all students and genders. As part of our creed, we pledge to help all students regardless of age, gender, background or differences. That’s what makes each individual unique as a student and why we pledge to treat every family and student with equal and unyielding respect. What does karate actually teach? Karate teaches way more than just punching and kicking. Although martial arts are known for their kicking, blocking, striking, defense and movements; there is an equally important focus in mental and spiritual development. We believe that a healthy successful student practices the betterment of their mind, body and spirit as one. These life lessons and principle based teachings help grow students to be value adding community members that help support not only one another but also the people around them. Our goal is to bring out the black belt in all students, not just on the mat, but in life. 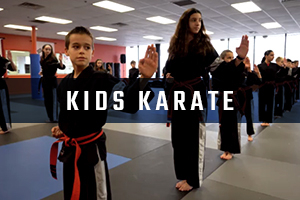 Although we understand that many families are eager to start their little ones in classes as soon as possible, our many years of experience and research have taught us that students at age 5 learn best through their martial arts training, not any younger. We recognize that while some 3 or 4-year-olds may be well beyond their years, it is undeniable the mental, social and physical growth which occurs once a child enters into full day academics. This formal teaching structure at school allows us to support the interactive and tightly knit network of home, school and family learning. Our minimum age requirement is 5 years old. On the opposite end, many parents feel as though their own opportunity has passed for being able to try something like martial arts or kickboxing. This too is a common misconception. We believe families that kick together, stick together. Many parents of our own students eventually make the positive choice of enrolling in one of our adult programs after taking part in a no-obligation Trial Program. This allows adults to see the realities of their training and to prove how easy and flexible their own training can be. How many classes are required per week? With the exception of our Kickboxing program, all other students are required to attend any 2 classes per week of their choice. With classes ranging from 4 to 7 choices per week, almost all families are able to incorporate a consistent amount of training into their everyday lives and schedules. Less than twice per week is ineffective for learning and growing in the proper way. More than twice a week can also lead to students feeling tired or over scheduled. Although students are able to come to extra classes if needed, we strongly recommend that all students attend exactly 2 classes per week to gain the greatest benefit out of their training and to reach their individual goals.